There is one rough but very wise car joke about HYUNDAI and BMW. The difference between these two trades is clear when we consider these brand names as abbreviations. The abb. explanation for HYUNDAI is “Hope You Understand Nothing’s Drivable And Inexpensive”. And for BMW it’s “Big Money Works”. The same rule is applicable for the links matter. The main value of a link which is really appreciated by Search Engines is its Passed PR Weight which is directly dependent on the number of outbound links. This value influences directly on the link’s PageRank (learn more about PR Weight and Google PR Formula). For example the PR1 link PR Weight is 5. The highest PR Weight it can pass to your site is 4,25 if there’re no outbound links on the backlink page; the lowest one (in case when there are 50-100 outbound links on the backlink page) is even less than Liechtenstein on the world map. Have you ever seen Liechtenstein on your map? Not? I’m not surprised, it’s too small. Let’s suppose that at the same time you purchased one link at LinksManagement.com. link with only 2 outbound links will pass to your site the PR Weight 313. 2. In 6 months you find out that nearly a half of your “permanent ” links were not as permanent as you thought them to be. 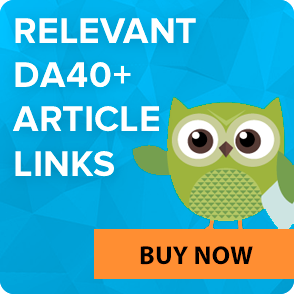 You start buying more and more “permanent” links to remain your site PR at the same level. and you enjoy the fact that this link is passing all the 313 of its PR Weight to your website. 3. In 10 months you continue buying additional “permanent” links, which vanish one by one day after day. In 10 months your link with the Passed PR Weight of 313 is still alive. is STILL ALIVE. And you see the difference. make sure of the fact that the SEO tool you’ve chosen will work for you. We guarantee that you won’t overpay a single penny if the backlink page’s PR drops or the amount of outbound links increases, and you will be informed about this in time. Our system re-crawl the webpages database once in two weeks, that’s why our links prices are always fair. Well, we agree that our links are not cheap. But are they worth every dollar you pay for them? Of course they are. 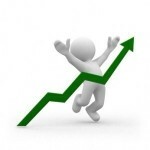 And it’s quite evident that PR1-PR7 links we provide are more PROFITABLE in terms of ROI. Do you still have an intention to get to the top by driving something inexpensive? Or is it better to make your money work for you? If you don’t have a LinksManagement account yet, you can sign up for free or find out more about our link building service.